The Park Silly Sunday Market, a summer favorite for Park City locals (aka Park Sillians) and visitors alike, celebrates its 11th anniversary this summer. 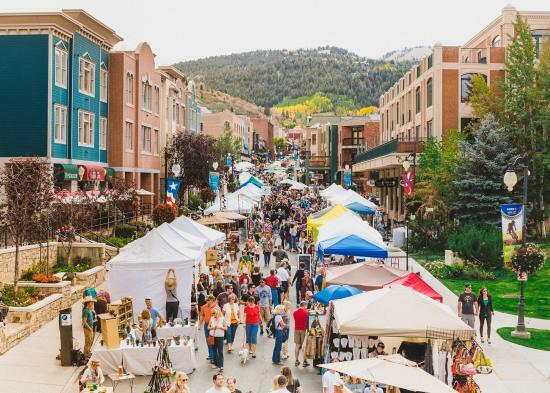 Held on Park City’s Historic Main Street, the Park Silly Sunday Market opens for the season on June 4 at 10:00 AM and continues every Sunday through September 17. Admission is free. Each Sunday, the Park Silly team shuts down lower Main Street and throws a big party. There are over 150 vendors weekly, with a variety of clothing, gourmet foods, art, kids’ activities, snack foods, sustainable products, farmers and more. Live music and performances go on throughout the day, allowing you to enjoy the entertainment and a beverage in the beer garden. The vendors and performers change weekly, so no two Park Sillies are exactly the same, making it a unique experience every week. Park Silly not only provides entertainment, but has also been an incubator for many local businesses for the last decade. The success of the market has in turn allowed many start-ups to flourish, including recognizable businesses like Sammy’s Bistro, Freshie’s Lobster, Red Bicycle Bread Works, My Liquid Garden, Melty Way, Boom Dog Creations, and Soul Poles. Park Silly also offers free space for local non-profits to gain awareness for their cause. Last year, the market featured over 220 non-profit organizations. Another initiative the Park Silly team takes seriously is their zero waste efforts. Zero waste stations are placed throughout the venue. Last year, 87% of the market&apos;s trash was diverted from the landfill – an impressive feat considering over 196,000 people passed through the event over the course of the summer! 25,520 pounds of trash was recycled, including 1,450 pounds of food that was used to feed local pigs. Additionally, in an effort to help with the carbon footprint and parking, Park Silly offers a free bike valet. Last year, over 500 people each Sunday biked to Park Silly. 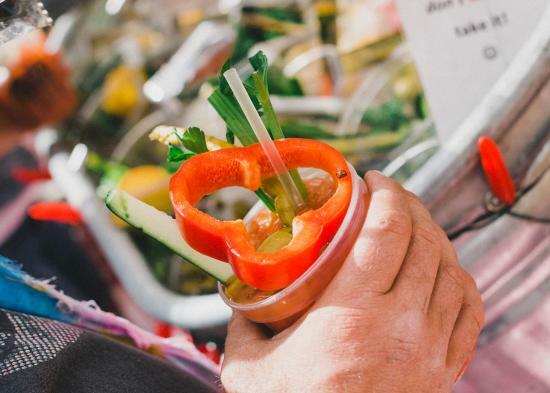 If you’re heading to Park City this summer, make sure to add the Park Silly Sunday Market to your itinerary. It’s been named one of the best markets in the county by several outlets, including TripAdvisor and Cooking Light. For more information, be sure to check out Park Silly’s event page on our website. Want to get a better sense of what the market is all about? Check out their video!